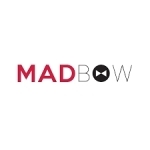 "MADBOW FASHION PVT.LTD." is a leading supplier of all kinds of ready-to-wear garments and foot wears for women. The range of our product line, good quality, and competitive prices have made us one of the most reliable names among our clients across India. We are five years old stabilized business and we deal into all kinds of Causal, Party wears and Footwears like sneakers, flats, ballerinas, heels like a kitten, pumps, ankle strap, wedges, chunky heels etc. especially for Ladies. 3. Ability to handle pressure and achieve targets. 4. Knowledge of customer service practices. 5. Experience in mediation and conflict resolution techniques. - Overtime and intensive applicable. - 24 paid leaves other than public holidays yearly.